Yl-8 Hank Yarn Vacuum Sub-Section Dyeing Machine from China Manufacturer - Wuxi Weifeng Dyeing & Finishing Machinery Co.,Ltd. This product is the most advanced hank yam sub-sectional dyeing machine in China at present. It is suitable to acrylic fibers, woolen, blending, flax, cotton, terylene, nylon, elater. It is the best equipment for raising the additional value and increasing the economic profits of enterprise. ● This product is the most advanced hank yam sub-sectional dyeing machine in China at present. It is suitable to acrylic fibers, woolen, blending, flax, cotton, terylene, nylon, elater. It is the best equipment for raising the additional value and increasing the economic profits of enterprise. ● This product is unique in design and rational in structure. It can be widely used and its dying quality is good. It is durable, solid. 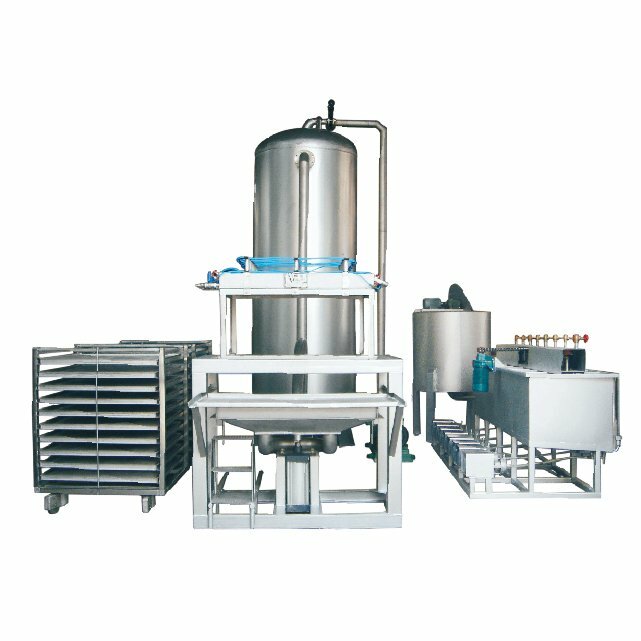 It has such advantages as timesaving, energy saving and labor saving It consumes quite a few steam and water and the usage rate of dyestuff is very high and it causes little pollution to environment. ● This product can make eight colors at one time and the length of color or the reeled yarn can be adjusted as well. The min, width is 4mm. It is equipped with imported time controller and auto operation can be realized.